in 2011 and its periodicity is four times a year. completed research having got novelty and interesting for a wide circle of readers. “Ob-Ugriс institute of applied researches and development”, Khanty-Mansiysk. 45532) and in the ISSN International Centre (ISSN 2220-4156). Subscription index in the catalogue "Russian Post" is 99812.
impact factor of the Russian Science Citation Index (IF RSCI). Title of the journal in English: Bulletin of Ugric studies. 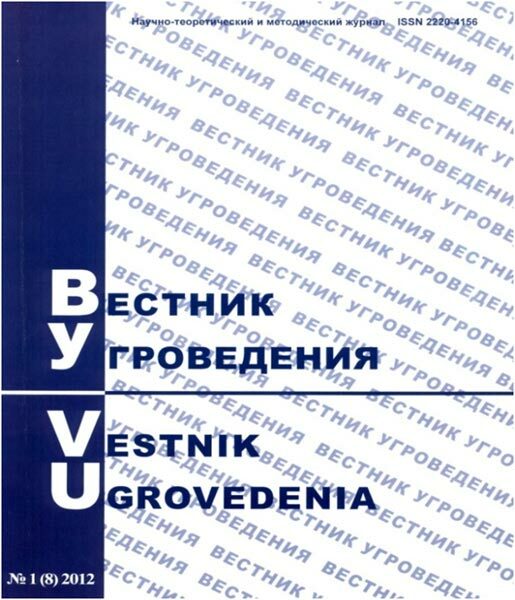 Transliteration of Russian version of the journal title: Vestnik Ugrovedenia.